Overlooking the Utongati River, the Crocodile Creek is located mid-way between Ballito and Tongaat. 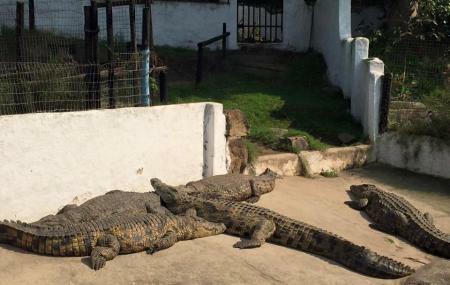 Home to roughly 10000 Nile crocodiles, West African dwarf crocs, slender-snouted crocs, American alligators, deadly mambas along with a wide array of other animal species like the snakes, tortoises, rabbits, wild monkeys, and banded monogeneses, this is one of South Africa’s top attractions. The park is open between 09:30 am and 04:30 pm every day of the week.